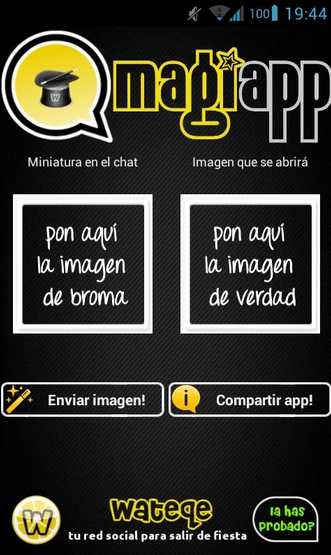 In this article, we would like to show you some Tricks,Tips and Hacks associated with the Whatsapp application. 1. Search for some nice creepy and funny image which can surprise or shock your friend. 2.After searching the image, make sure you resize the image to 561 X 561 Pixel dimension. 3.You need to go to the settings>SD Card>Whatsapp>Profile Pictures. 4. Here you will see your friends profile pictures with name’s similar to their phone numbers with prefix attached to it. 5. Just Rename your new image to the same file name and replace the old image with the new one. 6. For IOS you will have to use iFunBox to do the same prank. Try this trick and surprise your friends. Often times we delete the conversations or messages by mistake and we wish to recover them back, but we dont find any ways. Here is the perfect process to recover all your deleted messages in android. 1. Go to the Whatsapp Databasa Folder, SD Card>Whatsapp>Databases. 2. You can find msgstore-2014-01-04.1.db.crypt. This is the date on which it is created and the main file. 3. Rename the msgstore.db.crypt to backup-msgstore.db.crypt. 4. Also rename the date with the date you want your messages to be backed up. 5. Go to Settings>Applications>Manage Applications>Whatsapp and click on Clear Data option which removes all data. 6. Now open Whatsapp and it will ask you if you want to restore your Backup. Click on Restore. 7. You got all your messages backed up on your Whatsapp. You can also check RecoverMessages.com for help. Hiding Last Seen was not available in whatsapp in the initial days. 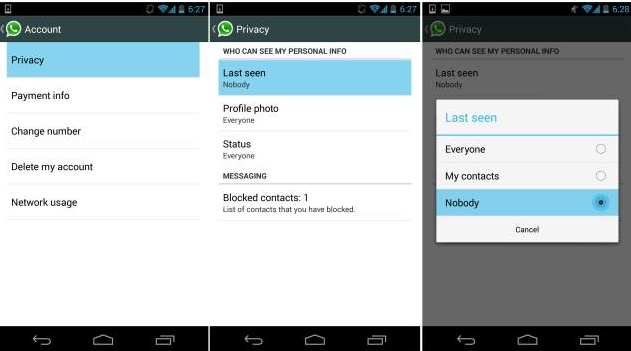 But now Whatsapp has increased privacy and provided the Last seen options. Go to Settings>Chat Settings>Advanced>Last Seen Timestamp. You can change the people who can see your last seen. You can also like wise provide protection for your images and status. This prank looks like it is tough but actually is very easy. 1.Download and Install Magiapp for android from the play store. 2. You will see the following interface as soon as you open the app. 3. Now just click on the True Image option and choose your original image and then click on the Fake Image option and choose your pranky image. 4.Now after selecting your images just press Do Magic ! option and voila! its done now just share your image with everyone. This is similar to the first trick. You just have to get hold of your friend’s phone for 2 minutes. 1. Go to SD Card>Whatsapp>Database folder. 2. msgstore-yyyy..dd.crypt which contains the date and year the back up is created. 3.Copy paste this files to your computer and upload them to RecoverMessages.com to view them online. If you want to protect all your secrets in whatsapp and protect your messages, you can now set a passcode to your application. All you have to do is download and Install Whatsapp Lock for android. 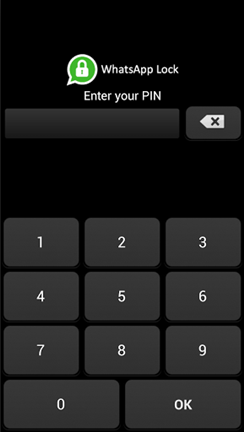 This app allows you to set a four numbered pass code pin. If anyone tries to hack your whatsapp, after a few clicks, the app clicks the person’s picture via the front camera. The above tips and tricks are very useful to you for knowing more about Whatsapp and for its better use. This entry was posted in Android on Jun 20, 2014 by Keerthi. Flash Official Stock ROM for Galaxy S4. In this article,we would like to show you the procedure for Stock ROM installation for Galaxy S4. 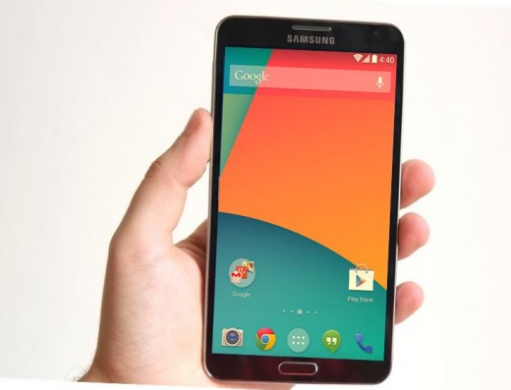 By the Stock ROM you will be able to unroot the device and also the touchwiz interface is available. We are writing this post actually because many of the users faced trouble after changing the stock ROM which was provided in Galaxy by default. Before you Install the Stock ROM to your device, there are a few things which are to be kept in mind. Stock ROM will restore the default software and interface that was pre installed on your device. One of the risks is that, all the dasa on your device will be lost and also the root access will also be lost while installing Stock ROM on Galaxy S4. Inorder to avoid this problem, you will have to use the Root Keeper App from play store. This tutorial will help you unroot galaxy s4. 1. Your Computer must have the proper drivers installed. 2.Your phone must be atleast 80% battery charged, so that the phone will not be switched off in between the process. 3.It is better to create a backup of the data. 4.Enable USB Debugging from your settings. 1. See that you have already backed up your data. 2. Boot the S4 in the download mode, which can be done by pressing the Volume Down+Power+Home Buttons simultaneously. 3. Install the downloaded Odin Software that you installed in your computer. 4. The phone asks you for the conformation to boot into the download mode. Select Yes and let it boot. 5. Connect the device to your computer with the help of a USB cable. 7. If this doesnt happen, an error has occured. So Try again by disconnecting it and connecting again. 8. 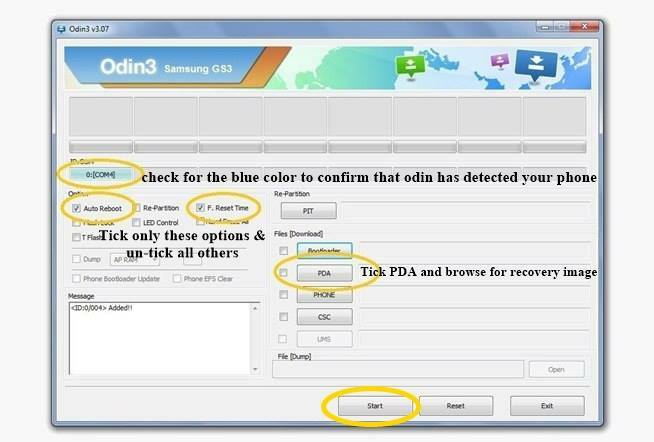 Now select the PDA option as shown and select the Stock ROM file for Galaxy S4 which you downloaded earlier. 9. You should Auto Reboot and other options should be checked as shown below. 10. Verify the settings in the images and click on the Start. 11. The Odin Software will install the Stock ROM on your devide. After the completion, the ID:COM section turns green and says PASS. 12. You have successfully installed and flashed the Stock ROM on your device. This entry was posted in Android on Jun 18, 2014 by Keerthi.